A Holland-based Ghanaian gospel musician Patrick Atta Adu sarfo has recounted how he decided to persue his passion for music at age seventeen and how far he has come. Patrick Atta Adu Sarfo revealed in a chat that he penned down most songs in a particular book because he knew one day the world will hear his voice through music. At age seventeen when he was then in secondary school at Tweneboa Kodua Senior High School, he got huge support from his seniors and colleagues who realized that he is musically talented. According to him, he drew inspiration from the support and encouragement he received during his teenage and decided to work hard in order to release his own album after school until his parents sent him abroad to continue his life. Whilst in Holland, the musician held on to his dreams of becoming a musical legend as he joined one of the biggest Television stations, GAM TV were they perform stage drama along side music and also released his first album at the Church of Pentecost, two years after storming Holland. 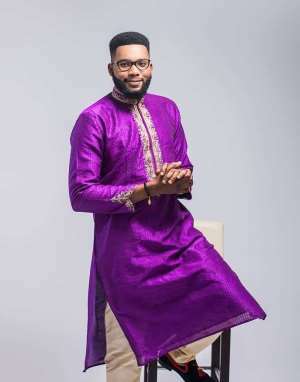 Currently Atta Patrick who is preparing to release his third album titled ‘Take control’ in February 2019, has already released two albums titled ‘Osagyefo’ and ‘Awieye ne Asem’. He expressed joy for not giving up after several years. ” ‘Take control’ is coming out after all my music life experience.